Arild Heitmann was born in 1978 and was born and raised in the small town of Evenskjer where he still lives. 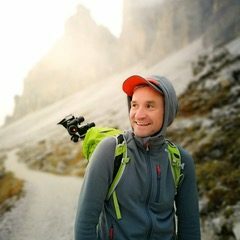 He has been a professional photographer for almost 10 years and now he runs Discover North together with long time friend and co-founder Stian Klo. He finds his strongest inspiration in the mountains. Since he was a child he has longed for the mountains. He wanted to see views that goes beyond what we normally see. He wanted to go beyond the ridge ahead and that peak in the distance. Climb that tall waterfall, cross that river and run up that mountain. He consideres himself incredibly blessed in being born and raised in one of the most beautiful places on earth; Northern Norway where he is surrounded by natures beauty and it is a constant source of inspiration.